Over the past four years, American artist Patty Carroll’s life has been in a state of flux as the question of home has had her turned upside down. While managing a move from her primary residence in Indiana to a new apartment and studio in Chicago, Carroll was simultaneously doing renovations on a place in Miami. 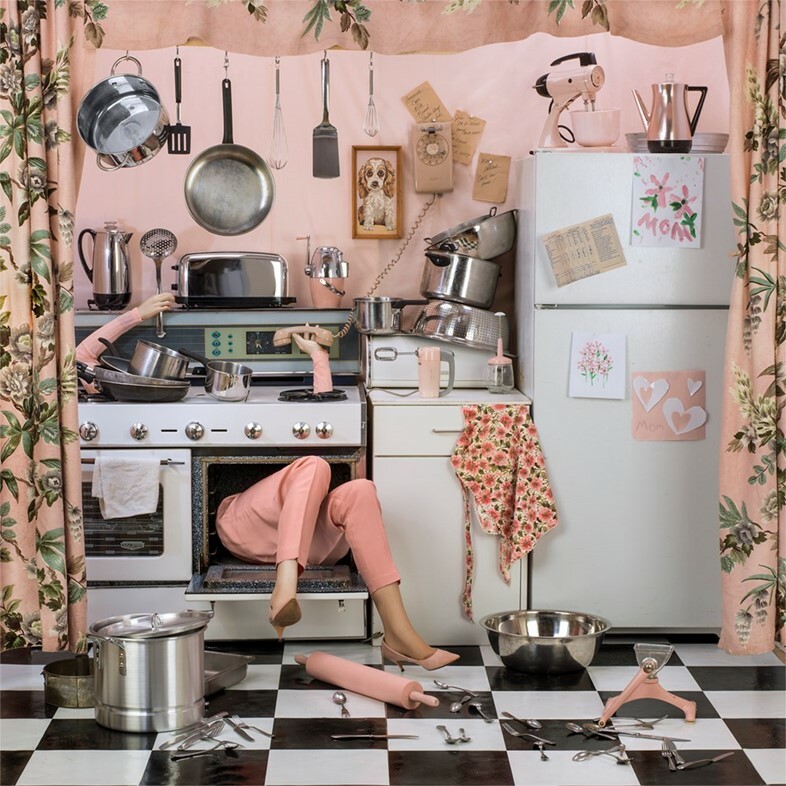 But rather than go under, Carroll transformed the sensation of chaos and impending doom into a series of photographs entitled Domestic Demise, which opens at Catherine Couturier Gallery in Houston on January 19. 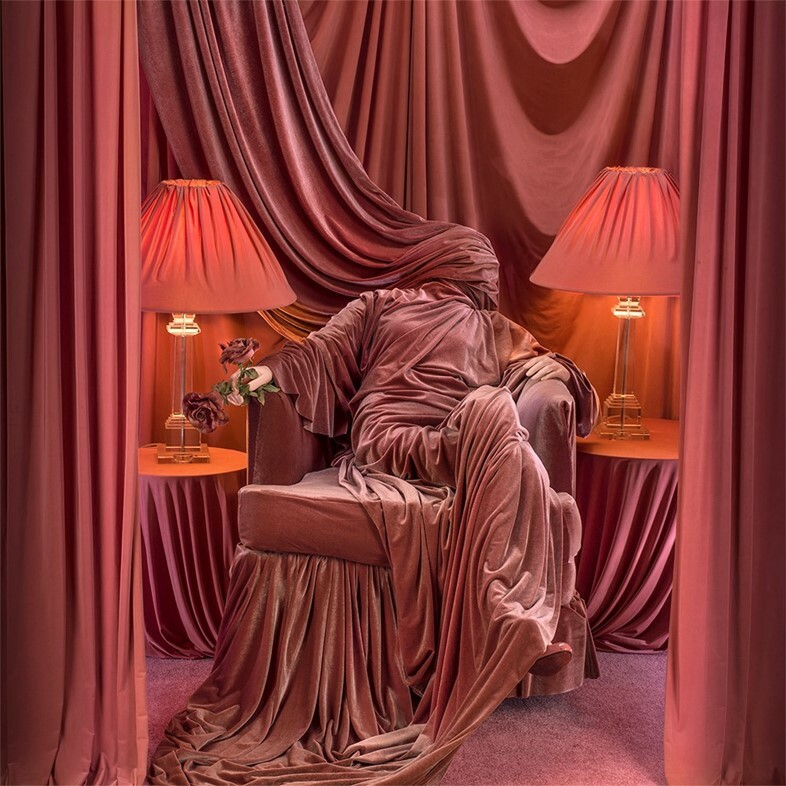 The latest chapter in Carroll’s ongoing Anonymous Women project, Domestic Demise takes the game of Cluedo as its departure point, staging lavishly decorated scenes inside rooms like the Conservatory, Library, Kitchen, and Hall. Here, the titular ‘Anonymous Woman’ meets her untimely end. The moral of the story: The perfect home is a catastrophe in the making – but at least you will go out in style. You might even say, “Death becomes her”. Drawing on her training in graphic design, Carroll grounds each scene in a colour scheme, and then allows the narrative to slowly unfold inside her studio on a specially constructed 2.4 x 2.4 metre space, with sidewalls that can be added or removed as the picture demands. “Since they are fictional interiors, we need to make them as believable as possible while dealing with the constraints of a small space, so everything has to be condensed,” Carroll explains. 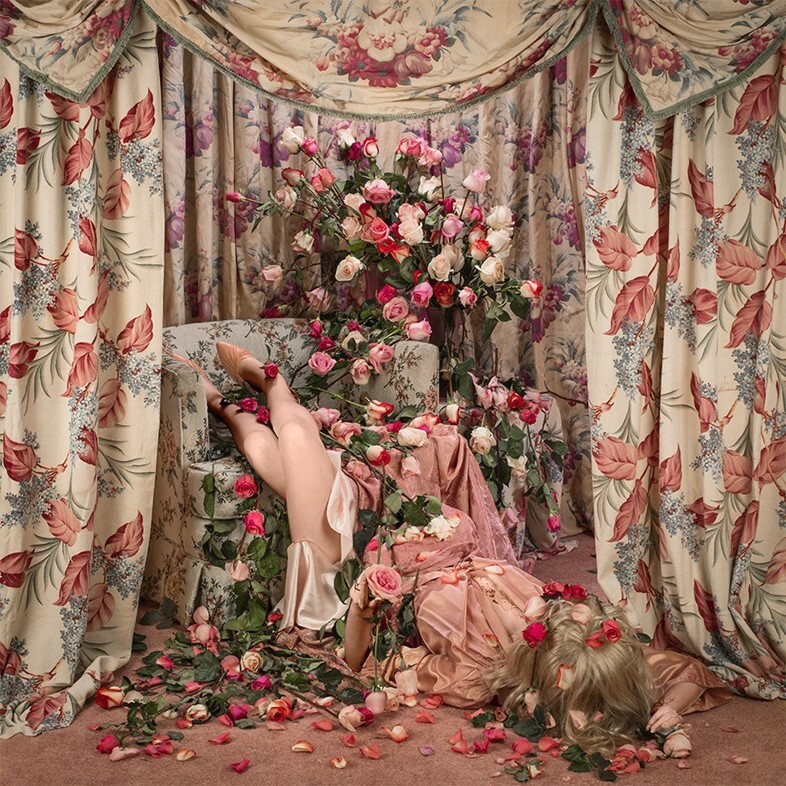 The glamour and humour of Carroll’s work provides a counterbalance to deeper issues she has been wrestling with since living in London with her husband. “I had spent a lifetime trying to develop a career using my own name, but I was always referred to as ‘Mrs Jones,’” Carroll reveals. “At the time I was trying to create a mythical perfect home,” Carroll recalls, describing her experiences renovating her former Indiana ranch house to its perfect 1950s charm. The irony was not lost on Carroll, and began to find its way into her art, transforming stresses and fears of everyone who has ever run a house. 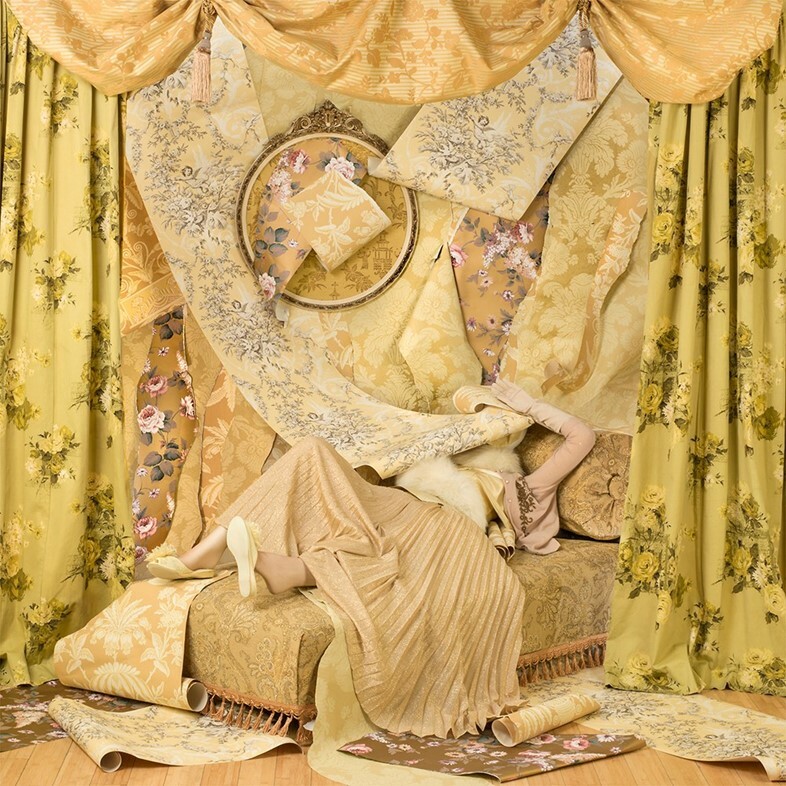 Patti Carroll: Domestic Demise is at Catherine Couturier Gallery, Houston, from January 19 – February 16, 2019.